The front door leading into the upper apartment, and the entrance to the garden at your left. A relaxing place with tropical plants and trees. In the pond you will find fish, frogs and turtles. The water lilies are a sight in the summer, and the orchids at spring. The space under the terrace has table, chairs and equipment for grilling. The terrace is a perfect place for breakfast or afternoon tea. The lounge in the garden apartment has an open solution to the kitchen. The lounge in the upper apartment is more classical, leading into the dining area and further on to the terrace. Here you have TV and WiFi. This bed room is in the garden apartment, and has a semi attached single bed room. The bed room in the upper apartment has the classical double bed with bilhros. It has a door to the terrace and view over the garden. The single bed is attached to the bed room in the garden apartment. The Kitchen in the garden apartment has a table and seating for 6 persons. The kitchen window with panoramic view to the garden. The bath rooms are with shower cabinets, wash basin, toilet and bidet. 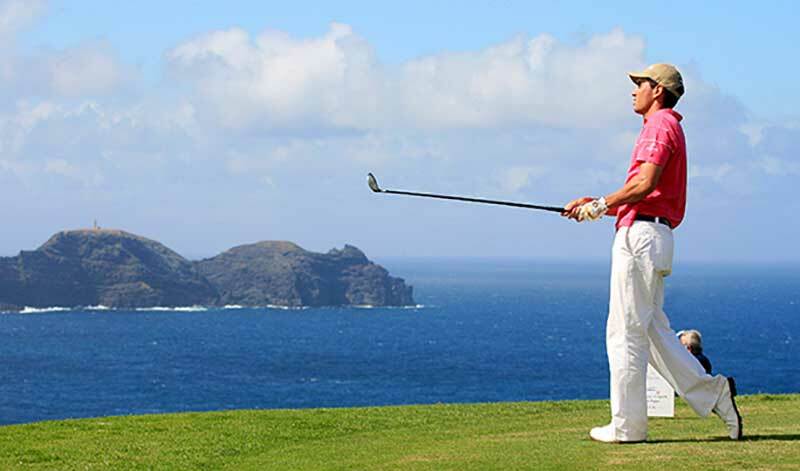 Madeira Island is more than hotels and tourist resorts. Stay in your self service apartment, or take the whole villa just for you and your family. In this way you will get an exclusive and reasonable holiday, it is practical and romantic. Villa Echium is a perfect place to stay. 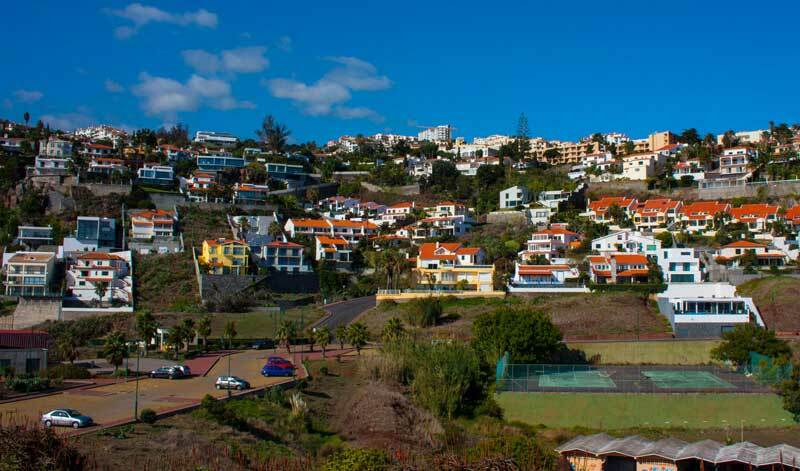 This holiday villa is in a quiet village, still near the capital Funchal. 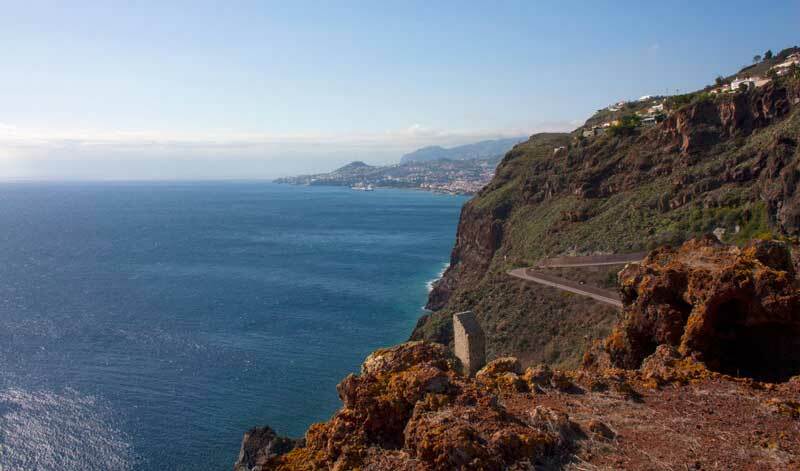 It will take you 10 minutes by car or bus to get to Funchal. The villa has two apartments. One apartment has two double beds, one bath room and an extra toilet, kitchen lounge and dining room. If you are physically impaired, this apartment is perfect. You get straight in from the parking, it has no steps, and you can manage to get around in a wheel chair. The garden apartment has one double bed room with an extra single bed in the semi attached changing room, a bath room, kitchen with a dining table for 6 persons, and a lounge. You get down some steps to get into the garden and this apartment. Come and experience Madeira. Visiting Madeira Island you are in for an experience and not just a visit. Here you are in the majestic nature, welcomed by a hospitable people. You will enjoy the local culture, a rich gastronomy and an unforgettable beauty. Madeira is called the Pearl of the Atlantic. It is a Portuguese island, west of Morocco, with subtropical climate. The seawater temperature varies between 17ºC at the coldest in February to the nice 24ºC in the late summer. The rich volcano soil gives the island its abundant greenery – you have lush flowers the whole year as well as the enormous variety of fruit to be found in the winter as well as in the summer. Throughout the island, custard apples, mangos, passion fruit, bananas and avocados grow profusely. The flowers like bougainvillea, frangipani, birds of paradise, orchids, wisteria, jacarandas and a lot of more flowering trees and plants make the island a floating botanical garden. The craggy mountain tops, where the highest is Pico Ruivo at 1860 m above sea level, drop into a series of deep ravines that cuts through the landscape to the sea, making lush green valleys below the dark basalt peaks. The blue water of the Atlantic Ocean is so deep that sperm whales often are found swimming next to the coast. The island is 57 km long and 22 km wide at it’s widest. The north of the island gets more precipitation than the south, and this made it necessary to construct the 1800 km of waterways or Levadas to conduct the water for irrigation of the sugar cane production that mostly is found in the southern part of the island. Many of these levadas provide fantastic walks through the breath taking landscape. Madeira is sky, mountain and sea at the same time. Here you can do para gliding in Calheta. You have mountain climbing, mountain walks, mountain biking, forest hikes, levada walks, canyoning, bird watching, coastering, swimming, surfing, whale watching, deep sea fishing and diving at the same place and the whole year around. After this you can relax and rest in fantastic accommodation, quiet and comfortable but all near restaurants, bars and coffee shops. The garden is a relaxing place with tropical plants and trees. There is no swimming pool but a pond with water lilies, turtles, frogs and gold fish. There are palm trees and other sub tropical trees. Orchids, Bird of Paradise and other exotic flowers. The main apartment has two double bed rooms, one bath room and an extra toilet, kitchen, lounge and dining room. If you are physically impaired, this apartment is perfect. You get straight in from the parking, it has no steps, and you can manage to get around in a wheel chair. The kitchen is fully equipped. In the lounge you have a TV and free WiFi. A smaller collection of books can be found, in several languages. The dining room has seating for four. In addition the terrace is perfect for breakfast or after noon tea. This is the wicker work village, where also the first football game was played in Portugal. O Relógio has a fantastic choice of basket work to choose from. Several levadas goes from this picturesque village that is worth a visit. This golf course is a great one, 18 holes and a breath taking view. It is a must for golfers. Caniço is a bigger village, now called city. This place has several shops, supermarkets and a shopping center. Here there also is medical services and clinks. Among the restaurants in this place, A Central is great with its Brazilian Rodizio. They offer a transport service. 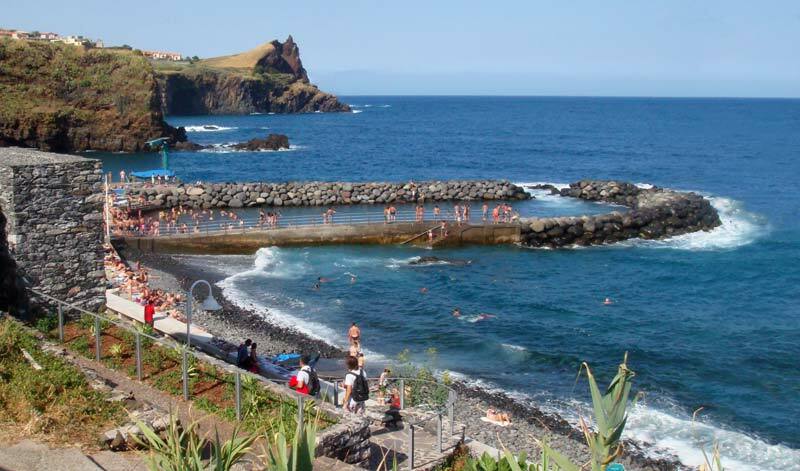 In Caniço de Baixo there are beaches, a promenade and several good restaurants. A Marisqueira Traneira is recommendable. For a night stroll, walk down in the front of the Hotel Dom Pedro. At the roundabout turn left and take the road until you reach almost the sea. Then turn right to Ponta da Garajau and further back up to the Villa Echium. This walk should take you about one hour. Ponta do Garajau is a cliff down the road meaning the “Cliff of the Tern”. The old story tells that when the discoverers reached this point, Terns which never had seen humans before , landed on the heads of the sea farers. Here you now find the statue of “Christo Rei”, built in 1929, so it is older than both the one in Rio de Janeiro and Lisbon. Here you will also find a watch tower used when they still were hunting whales. A cable car bring you down to the beach, where you also have a restaurant. Outside the cliff of Garajau, you have a natural sea water reserve. If you walk or drive down to Caniço de Baixo, you will find beaches and more restaurants and bars. Drive through the tunnel of the hotel next to the house, turn left and drive up about 300 meters. Crossing the bridge of the fast way, you turn left to get into this, and in 3 minutes you will find the take off to Funchal It should take you 10 minutes to get to the center. Note that you will find parking in the shopping centers. Parking is a problem for our city. If you cross the tunnel again and turn right, you will find the bus stops for Funchal. If you turn right after the tunnel, you can walk up about 400 meters, above Modelo, the hyper market, and the local city busses, yellow one, are going frequently. Bus schedules here. There are taxis in front of the entrance of the hotel. These can take you to the airport or to Funchal. You can also phone Madeira Taxis at 291 764 476. There are good restaurant near the shops. 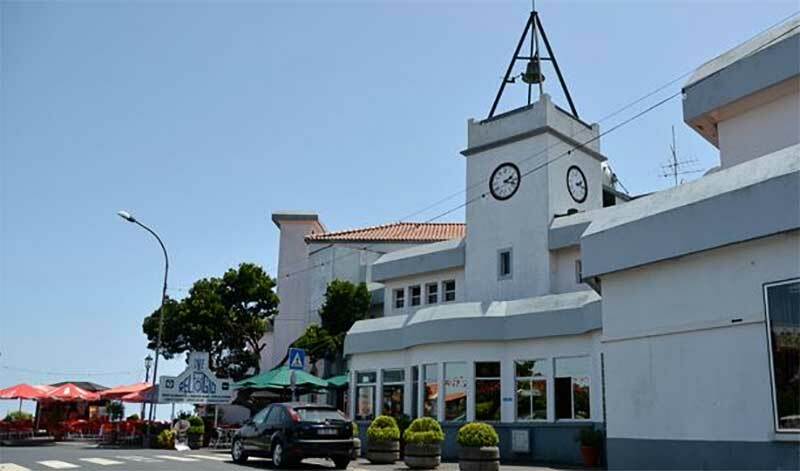 To the left of the bakery you have an excellent restaurant with grill and sea food: “Frango a Guia II”, and to the right a coffee shop and restaurant. Further down the road you will find an Italian restaurant, several smaller restaurants and a take away, “TuriGallo”. Next to The Express Market, up the stairs, there also are some restaurants, two locals and one Italian. Driving in to Funchal, you have the farmers market, fish and fruit market just as you come down to the centre. Every Sunday it is a big farmers market at Santo da Serra. It is quite fun, and a place that many article can be found. Try the chicken for lunch. This is in the central barrack, but be early.